Do you dream of working in the wedding industry? I regularly receive emails from people who’d love to own a wedding business but don’t know where to begin. Often they’ve recently organised their own wedding and enjoyed it so much they don’t want to stop. Many successful wedding businesses started this way, but, while planning your own wedding may give you some useful insights, it does not prepare you for the reality of being a wedding business. So how do you get started? 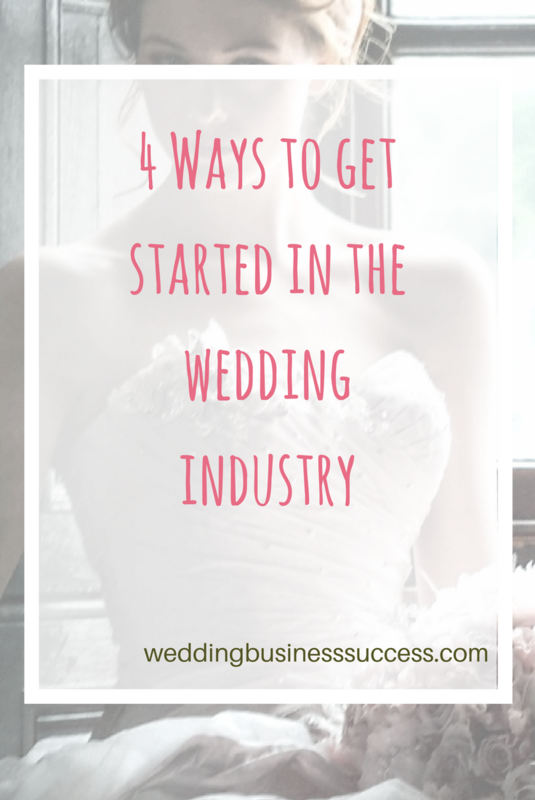 There are 4 typical routes to getting your wedding business up and running. There’s a lot to be said for learning the industry from the inside. If you have absolutely no experience, then I’d strongly advise getting a job that will give you a proper understanding of your chosen area. Apart from learning the ropes and realising the pitfalls to avoid, you’ll also find out if the day to day reality of that particular business is as good as your dream. If you want to be a wedding planner, get yourself a job at a high end wedding venue. Dream of owning a bridal boutique? Unless you’ve worked in one and understand the everyday routine, you could make some expensive mistakes. Once you have that hands-on experience you’ll be able to create a realistic plan for your business and have a much better chance of success. This is the route often taken by wedding stationers, cake makers and photographers and other creatives. They start small, often as a part-time venture while still having paid employment to pay the bills. It’s a good way to be sure that there’s a market for your product/designs/services and to sort out issues while they are still small scale. The pitfall with this approach is that your business may not thrive if you don’t have sufficient time to invest to help it grow. At some point you will need to take the plunge, give up the day job and commit totally to your business. This can be scary – and there’s probably never going to be a time that’s totally perfect – but if you (and your customers) love what you do then you won’t regret it. Sometimes there’s no choice but to simply go for it 100% from day one. It could be because you need investment in equipment, it’s a completely new concept or because you have spotted an opportunity that needs to be grasped immediately. Maximise your chances of success by researching your idea as much as possible and making sure the numbers add up. Finally, you can purchase an existing wedding business. This can be a good way if you have some money to invest (from redundancy for example). You’ll get an income from day one and you’ll know there’s a demand for the products/services. Do your homework very carefully and make sure you know exactly what is and isn’t included in the sale. It is usual to ask the seller for a handover/training period to help smooth the transition and also a restriction clause to stop them simply setting up in competition to you. Whichever way you choose, do take advantage of all the help that’s available for new businesses. Check out your local council for grants, courses and networking sessions. Read lots of books and, of course, advice websites and blogs for new business start-ups. 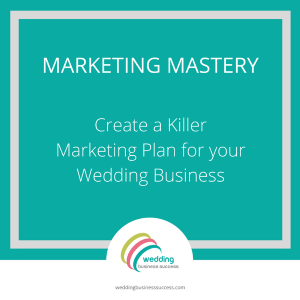 Take the time to create a proper business plan and you can be confident that you’ve given yourself the best possible chance of a successful career in the wedding industry.